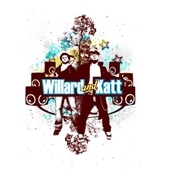 Share Willard & Katt's EPK! Presently in San Francisco, two long-time friends from Montreal < Vie Aknaton & Johann Michael > have formed Recording Group and Production Duo WILLARD & KATT. Tapping into an unstoppable creative force, WILLARD & KATT have been pushing the boundaries and producing track after track - trendsetting Alternative Soul Music. Under indie label Vie Recordings, they are now in the final stage of their highly anticipated album âWILLARD & KATT presents.â scheduled for release Fall 2007. Johann Michael is the eclectic soulful new phenomena. Critically acclaimed performer/songwriter, with a voice that carries maturity, passion and soul, Johann Michael creates a vision of a lifetime of emotions in song. A passionate performer, Johann Michael has traveled the world and played high - demanding roles, including the show - stopping pimp, " The Engineer " in Tony Award winning musical, Miss Saigon. 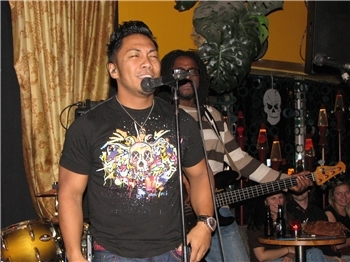 Johann's involvement also includes the SOCAN Urban Music Award Winning music production company, Kuya Productions. They have embarked upon their own journey producing for recording artists Shawn Desman, Keshia Chante, and over the years have amassed dozens of tracks for artists Nelly, G - Unit, AZ, Gary Beals, and Ginuwine. Johann Michael's undeniable sound defines a rebirth of alternative yet eclectic soul. 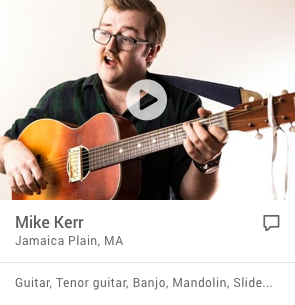 Surely, you too will be touched by his heart - felt renditions of classic old school. Now, the evolution is WILLARD & KATT. Together with Vie Aknaton, Johann Michael pushes the limits of songwriting and popular music. âAâ for audio and âVâ is for vinyl! Actually, hang for a beat and discover much, much more. Montreal native, Vie Aknaton can be found playing any musical instrument lying around. Throughout his High School and College years he recorded R&B, Hip Hop, Arabic, Dancehall and Culture Reggae Mixtapes and saw to its distribution! Heâd spin at parties and even hosted a weekly Conscious Reggae radio program, âThe Higher Heights Vibrationsâ aired on local station K103.7FM. Vieâs love for musical diversity became evident byway of a series of CD compilations that was embraced by many. His taste for World music transported listeners across the globe, further revealing his ability of boundless creative expression. Finally we caught a true glimpse of his passion and remarkable talent for producing. The series reportedly reached the hands of Jamaican Dub poet/Actor/Radio host, Mutabaruka and was highlighted on Mutaâs controversial weekly radio show âCutting Edgeâ on Jamaicaâs own IRIE FM. Eventually packing up and heading for Toronto, Vie attended the Harris Institute for the Arts studying Sound Production / Engineering. It wasnât long before, he built his own studio, mastering his craft while recording his own material. His sound took form, rich with roots stemming from his Egyptian background and World, Reggae, Hip Hop and Pop music influences. Blurring borders, inspired by the many influences crossing his path, he bridges the times reminiscent of basement parties, soul and vinyl. Vie is currently back and forth from Montreal and San Francisco composing and producing alongside Johann Michael for the WILLARD & KATT project. Sets range from 30 to 45 minutes, multiple sets per night.